Money management is not just something that Wall Street executives and blue-blood Bostonians do. In fact, every single person who makes or spends money - so, every single person - engages in money management of one kind or another. This is because money management can mean one of any number of things. It can refer to spending only what you can afford, saving up for something, building a retirement plan, investing, or paying off debt. And there are a variety of techniques and applications available, depending on what it is that you are trying to do. The budget is the skeleton behind any money management idea. Without it you can't really get anywhere because you'll be steering a ship without a rudder. The upside to this is that a budget is incredibly simple to create. At its most basic, a budget is just a list of incoming-money transactions next to a list of outgoing-money transactions. Most of the time, a budget will come with four columns. The last two, on the right, are where you write the amount. Write money you spent in one column and money that came in, in the other. In the leftmost column, write the name of the expense - i.e., "week's groceries" - just a basic reminder of where the money went or came from; and in the middle, the amount of money that changed hands. Here’s how to get started if you want to make things right and manage your money more cleverly. Instead of "taking the money and vanish," the advice here more closely resembles "take the money, write down the amount, and try to keep track of your spendings." Once you have a budget going, you can start to analyze it and see what it is that you're spending the most (and least) money on. Once that's done, you can intelligently modify your spending behavior, and end up making your money last longer and go further than it would be able to otherwise. Perhaps the best way to do this is to create categories. Everything you spend will go into one of these categories. These will be things like "bathroom necessities," "groceries," "entertainment" - going out, renting movies online, buying anything that isn't really a necessity, etc. There aren't a lot of rules set in stone for how your categories should work. Plenty of people have their systems, but it's best to find what works out for you. This is the beginning of making money management start to work for you. Now that you know how much money you're spending, and what you're spending it on (and hopefully, learning to save effectively by cutting costs), you can start to pay off any debts you may have. Just add them to the budget, and if possible, set them up to pay automatically, so you don't have the opportunity to forget. Managing money is not just about saving up. A lot of people these days have become savvy investors without having experience in the domain. Obviously, this doesn’t mean spending all you have at the stock market. Believe it or not, there are safe says to invest, and property is one of them. All you need to get started is cash (or a loan) and good advice. Talk to a professional realtor with experience in the business, and he’ll get you the best deal; even if you want to find a property in Turkey, and spend money to buy it. Play it safe though, and try not to take unnecessary risks. The real estate market is tricky; prices go up and down all the time. That’s why it’s best to stay informed. Know as much as possible about the most recent trends, and you have a good shot at success. Learning to manage your money is one of the best ways to free yourself up to build the kind of life you really want. Many people spend money without keeping track of it, and this means that often, they have no idea where their money is going. They tend to stay at the quality of life level they're already at. Turkish real estate sector confidence index value has been measured as 101.8 in the 4th quarter of 2015. This is a fall of 1.95% when compared to the previous period, and is classified as Partially Stable. The Turkish real estate sector price expectation index has been measured as 128.9 in the 4th quarter of 2015. This is an increase of 4.47% when compared to the previous period. Accordingly, prices in the real estate sector are expected to rise in the next three months, when compared with the previous three months. The Turkish Real Estate Sector Confidence Index, which aims to measure the confidence of the professionals who play a role in Turkey real estate sector, which is one of the locomotive sectors of the economy of the country, was measured as 101.8 in the 4th quarter of 2015. This is a fall of 1.95% when compared to the previous period, and is classified as Partially Stable. This values shows that the confidence in the sector in the coming three months is Partially Stable. The real estate sector price expectation index has been measured as 128.9 in the 4th quarter of 2015. This is an increase of 4.47% when compared to the previous period. Accordingly, prices in the real estate sector are expected to rise in the next three months, as was also the case in the last three month period. A Binary Options Broker is your ticket to the exciting world of Binary Options. Brokers make Binary Options accessible to retail traders with the end game being interesting profit margins for traders, while they (the brokers) make money from offering you access. Sounds like a win-win, right? Ideally, it is when you choose a reliable Binary Options Broker. The only hard part in this scenario is choosing a reliable broker. The reason is simple, there are way too many of them, and the parameters that should guide your choice are equally as many. In simple speak, this refers to the cash reserve of the broker which will serve as a buffer should things go awfully bad for the broker. The importance of having capitalization is to serve as security for your capital traded on your investor account with the broker. To be exact, capitalization requirements vary across countries. For example, brokerage firms in the US are required to have capitalization of at least $20 million. While brokers in some parts of the EU are not required to meet high capitalization limits (although this is rapidly changing). In addition to capitalization, Binary Options Brokers ensure that they are liquid enough to support the financial pressure of client’s positions by hedging their risk or underwriting their risks with third parties. It is a good idea to communicate with your broker about capitalization and if they hedge or have their risks underwritten by third parties. You should also look for good payment methods like Paypal because there are quite a few brokers that accept paypal. With paypal you can always ask for a refund, should the broker not allow you to withdraw your money. Versatility represents a one-word substitute for ‘Assets offered,’ ‘Multi-currency trading support,’ and ‘Populated asset list.’ The take-home advice is that you only want to do deal with a broker who gives you a lot of asset options. For the basic returns on traded positions, the percentage payout should cross 65% to be worth your investment. While you should go for a broker who offers decent payout for out-of-the-money traders—around 15% of the original invested amount would do. Brokers are meant to be partners in progress. It is a good idea to deal with a broker who has an extensive suite of tools to help mitigate the risk in trading and expound on your profitability. These tools include live data on assets trading, informative learning resources, economic calendars, and what not. This parameter may be the last on this list, but it is by far one of the strongest indicator of the reliability of a broker. You do not want to wait for 24 hours to receive a reply; neither do you want to receive general regurgitated responses for very specific questions. The only way to ascertain the quality of customer service is to contact them, and gauge the kind of response you get. In fact, there are a lot of sub-indicators with this parameter that it deserves a section of its own. But here’s the deal, if you are not confident that the customer service of a broker will have your back in the good and bad times, simply move on. In summary, you should research more than one broker in your search for a reliable broker. Ask questions, read FAQs, read terms and conditions, consult reviews. In the end, it will all be worth the effort. Can investment in the sector save the future of UK care homes? UK care homes are facing an uncertain future. According to investigations by the Observer, the rising cost of care means that up to 50% of care homes could face closure.Many local authorities have suffered funding cuts in excess of 40% since 2010 however, the shortfall between what local councils can pay and the actual cost of care is widening. The Local Government Association has stated that the shortfall could be as high a £2.9 billion by the end of 2020.The rise of the minimum wage will no doubt contribute to a reduction in the amount of care which is available to those in need. “There has been a longstanding gap in funding for social care and this will become much more severe if there is not adequate recognition of the rising costs the sector will face as a result of the living wage. Otherwise, we will see more care providers pulling out of the sector,” Wollaston, a former GP told the Guardian. In a time when the UK’s elderly population continues to grow, mounting pressure on already strained healthcare sector is something that must be addressed. A poll conducted by YouGov for Health+Care and Commissioning has revealed that the general public believe that NHS commissioners should make ‘care for the elderly’ a priority. 57% of those surveyed believe that care for the elderly should be the main focus of the NHS over the next 5 years. With the amount of people aged 85 and over set to double over the next 20 years, something must be done to ensure that people are properly cared for later in life. The Institute for Sustainable Construction estimates that the United Kingdom will need to build over 15,500 care developments by 2035. To meet this target, an additional 780 facilities would need to be built per year however, with the average cost of £5 million per care home, around £4 billion would need to be pumped into the sector per year. With over 15,500 new developments needed to accommodate the UK’s rising elderly population, the big question is where the annual £4 billion of investment will come from? Property investors may hold the key to unlocking better care in the UK. Funded by individual investors, specialist new-build care home investments could provide the much needed money to build facilities. Similar to an off plan buy-to-let structure, investors would receive a rental yield from their individual room within a development upon completion. The development would remain managed by a specialist care company which would allow the ‘silent’ investor to generate an income from the room within the project.This option would create an incentive for investment in the sector and will help raise the £4 billion required per year to build much needed healthcare property. It is yet to be decided who will foot the bill for rising cost of care in the UK however, there is a clear need for funding from both the government and private investors for the sector to be overhauled for the better. National Geographic originally started this app to discover which cultures live the longest in the world. The ones that survive the longest have become known as blue zones. 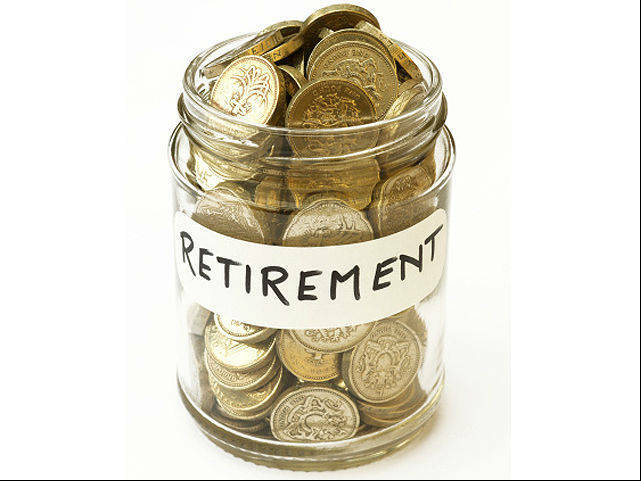 This app has now been adapted to assist with those thinking about or planning retirement. You will need to answer six simple questions and it will calculate your life expectancy, how much you can extend this by if you change some of your lifestyle habits and how many years you have gained or lost through your current lifestyle. Vitality Compass will give you a good guide as to how many years of retirement you need to plan for. This performs a similar function to the Vitality Compass. The How Long Will I Live app has been developed by researchers in the University of Pennsylvania and also provides a guide as to how the answers are calculated. You can opt to take a short questionnaire which will take less than a minute and give you an overview of your life expectancy. Alternatively there is a longer questionnaire which will provide a more detailed analysis of your life expectancy. Understanding how long a retirement you can potentially have will lead to the question of what will you do with all this time? This ‘app’ is actually a self help book and a website; together they can be used to help you decide what you would do if money were no object and how you can still make those dreams a reality in your current budget. The focus of any retirement should be to enjoy the experience! You do not want to simply survive the last years of your life! This website is dedicated to providing programs which are undertaken for free and can take between one and seven days. The programs will help you to understand what is important to you; you can define your goals, priorities and desires and then work out how to achieve them. Life Reimagined is a great way of picturing your life after retirement. Think positive, eat right and take care of your finances! You should be fine. This app has been developed for anyone living in the United States where social security benefits are likely to be a major part of your retirement income. However, as with many, government backed financial programs it is possible to apply for many different benefits; but each one needs to be assessed and applied for separately. This can be time consuming and confusing; many people will miss out on valuable benefits. The Social Security Planner app will take a few moments to collect your information and then advise on the best strategy to maximize the available benefits. Of course, a big part of preparing for retirement is ensuring you have adequate funds to cover your retirement plans. This app helps you to plan the amount of money you will need and that your current savings plan will produce the necessary results. It will also provide tips on how to optimize your savings. No one wants to dwell on the inevitable, but a few moments spent colleting this information together will make it easier for your relatives to deal with the process and ensure your wishes are respected. Are you ready for retirement? As you can see, there are all kinds of risk management software programs, apps and websites to help you get started. Pick the ones that resonate with you and prepare yourself for 20-30 years of complete relaxation.